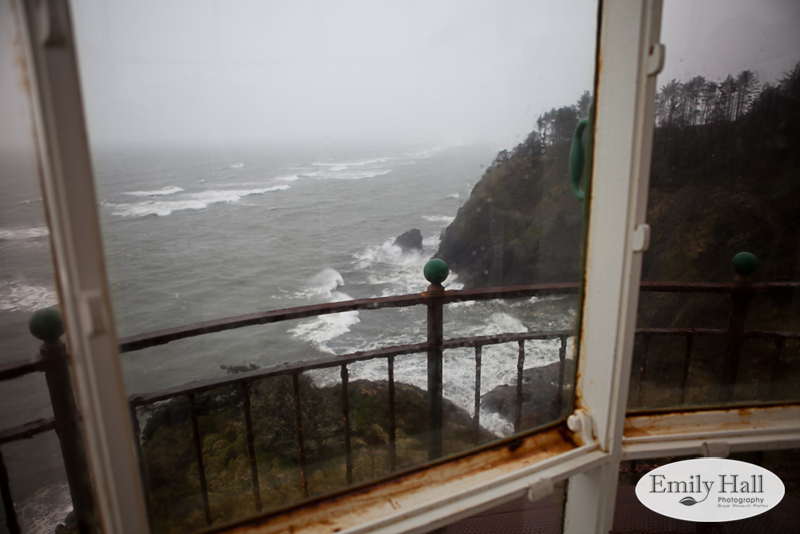 Vincent & Patricia both love lighthouses, so Cape Disappointment was both beautiful AND a perfect setting for their ceremony. When I arrived at Cape Disappointment, I wasn't sure what to expect. The wind was strong enough to knock me over, and I just couldn't picture a woman in a white dress enjoying the craziness that was the Pacific Northwest weather that day. Fortunately, Patricia had more sense than that and arrived picture perfect and ready for the windy reality of the coast. Don't you just love her hat & scarf!?! Although I loved pretty much everything about this ceremony (DEFINITELY a little eyeball leakage during their vows) - the thing that I loved most about this experience was how pure it was. The entire focus of Patricia & Vincent's wedding day was their love for each other.